Well, it’s June. June is a thing that is happening. I am distracting myself from how very June it is (in name more than climate) by gazing out at a trio of cormorants on the river, weaving in and out of the water like sleek black needles. 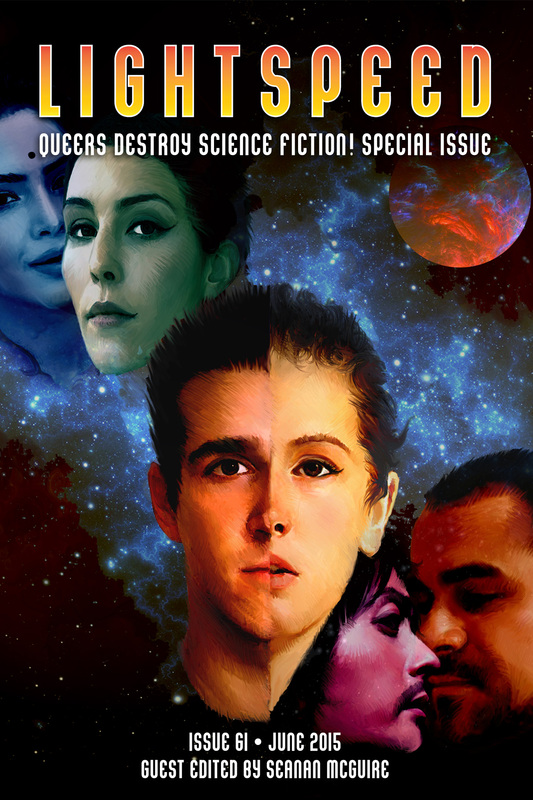 June brings with it Issue 61 of Lightspeed Magazine, the Queers Destroy Science Fiction issue, edited by Seanan McGuire and bursting at the seams with fantastic work. I have a story, an interview, and a review column in this issue: the story, “Madeleine,” is a sort of accidental homage to Proust via Walter Benjamin and hallucinatory time travel; the interview explains how that works, exactly; and the review column explores a loose theme of queer communities in fiction, covering Nicole Kornher-Stace’s Archivist Wasp, Elizabeth Bear’s Karen Memory, and Hal Duncan’s Scruffians! collection. This content won’t be released online until later in the month, but you can get it right now by buying the e-book, and if you love what Lightspeed‘s been doing, you can subscribe! 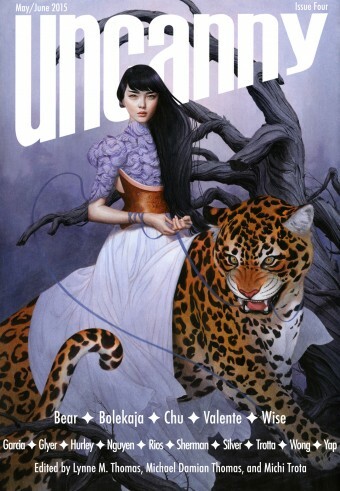 June also brings with it the online release of the second half of Uncanny‘s Issue 4, with stories by Elizabeth Bear and Lisa Bolekaja and poems by Isabel Yap and Ali Trotta. In Podcast 4B, CSE Cooney reads Bear’s story, I read Yap’s poem, and Dangerous Deborah Stanish interviews Julia Rios while Michi Trotta interviews Scott Snyder and Gail Simon at C2E2. Loads of great stuff — and if you want to support Uncanny but aren’t equipped for or inclined towards e-subscriptions, there is now a shiny new Patreon (the video’s adorable) where you can help out with as little as a dollar a month, or whatever amazing fiction, poems, articles, and readings are worth to you. This entry was posted in Uncategorized and tagged lightspeed, podcast, qdsf, reading, short fiction, uncanny. Bookmark the permalink.